We will be open Christmas Eve from 4:00pm - 9:00pm. Advance reservations are suggested. Piano player Thursday, Friday and Saturday nights from 7-11. We have private rooms that accommodate from 10-100 people. Have your party at work or home. We offer a variety of catering packages, from full meals to appetizers. 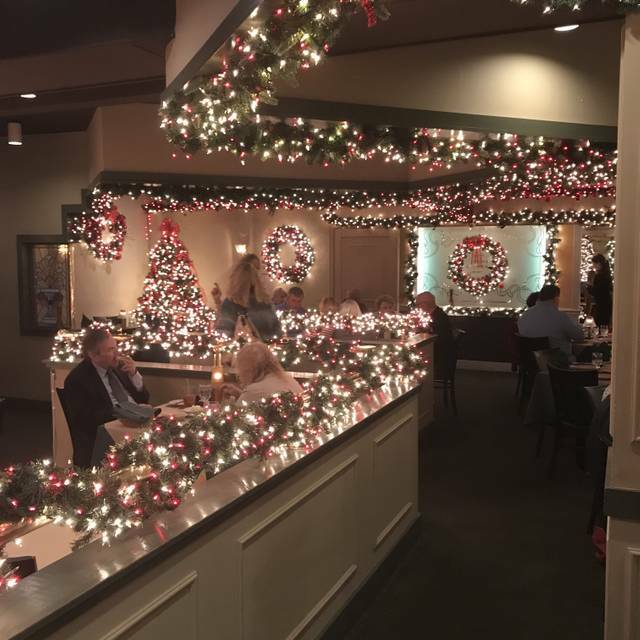 Sam's Steakhouse is a hidden gem in St. Louis. We offer amazing steaks, wines to compliment any palate, desserts to appease any sweet tooth & top notch service. Handmade especially for sam's on the "hill"
The service and food were excellent. As always the food was wonderful. Lots of people were celebrating birthdays there. The steaks are perfectly cooked, the Louisiana Shrimp appetizer has the best sauce, you just can't stop dipping your bread. The twice baked potatoes are delicious! Great ambiance & quiet. Service and food were excellent. Friday evening and we were a little early for our reservation, but seated in a reasonable time. 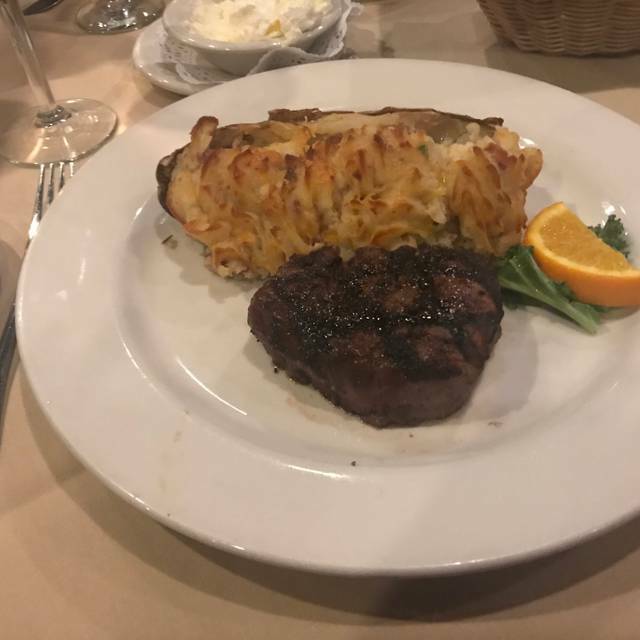 Thought the Hostess was a bit rude and inattentive, but other than that, my wife a I celebrated our 50th Anniversary and enjoyed great steaks. 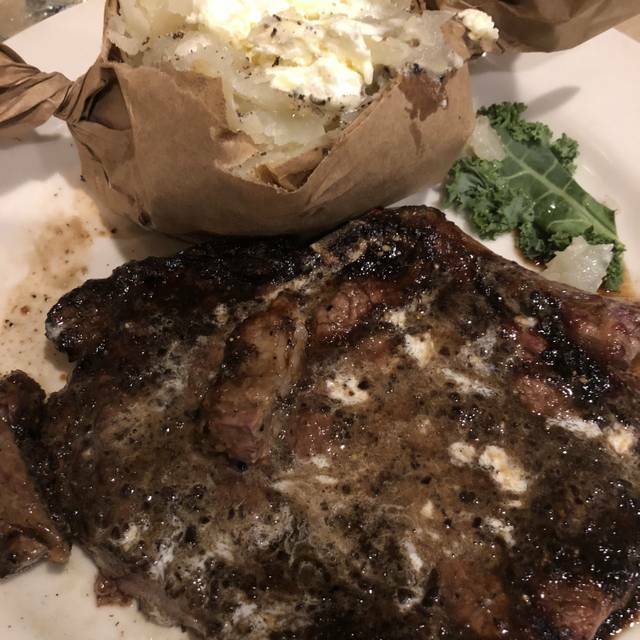 Great steak and great service! Sam's has never disappointed us. This was my third visit and, as with each previous visit, the food was exquisite and the service impeccable. We were celebrating my father's birthday so I asked the hostess to advise our waiter to give me the check rather than my father. As I was the youngest person at the table, a less attentive waiter might have erred and given it to my father or husband. However, our waiter quietly gave me the check while wishing my father a happy birthday. Overall another wonderful dining experience at Sam's. 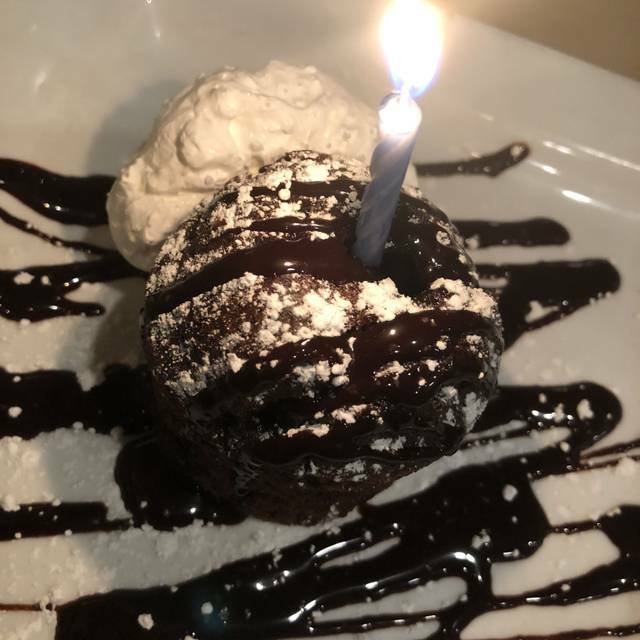 It was my first visit but not my last, you could actually have dinner conversation with your very good meal, our server was Bryan who treated us like we were the most important people in the restaurant food was great and the restaurant was so classy but not pretentious!! The food was delicious however the service was extremely slow, especially for a Sunday evening. Great food, service. The owner was very hospitable and we really enjoyed the piano player. Classic steakhouse vibe with iutvthe big city cost. We were at Sam’s Saturday night. Very understaffed with wait staff. Long wait for every course and the bill. We have been on week nights and had good experiences. Food was OK. Bernaise sauce was terrible. Appetizers and dessert were good. Very noisy-difficult to have a conversation. Had filet with lobster special. Lobster rubbery. Steak OK but not great. The squash was excellent. Good food, great service. We had a very good evening. Always enjoy our trips to Sams. Wonderful. Had a great meal then went into the bar area. Had a great time and made some new friends. Heard from friends was great place for steaks. Always wanted to eat here. Made a special night out with husband. Very worth the extra $ compared to other places. Excellent steaks. Grilled and seasoned to perfection. One of the best filet and lobster tail I have ever eaten. Would definitely recommend Sam's Steakhouse. We have ate there once before and it was good so we went back . I got the prime rib like always and it was just not a good cut of meat and for the money you pay you should expect a good cut of meat after all it’s not Texas Roadhouse it’s a higher end steak house but the steak wasn’t as good the soup was awesome the twice baked potato had so many chives in it I couldn’t stand to eat it and I told them I don’t like chives . My wife’s fillet was over cooked but still tasted good . I like the atmosphere in the bar area with the piano player. 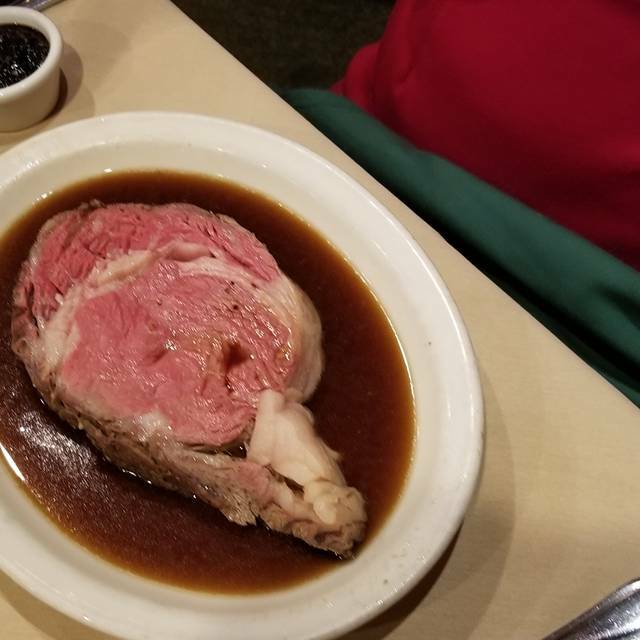 Our meal and drinks came to $135 and to have a prime rib that was next to impossible to even cut was not what I expected. Unfortunately we had a rather over served and loud guest next to us but the staff handled the situation in a fine fashion. Once that group left our evening was quite enjoyable. Food was wonderful as it always is and the drinks were smooth and refreshing. Always a great place to visit! Great food and service. Great place for special occasions! I found the food to excellent and I was quite impressed as were my guest who joined me. However, the service left a lot to be desired. Our waiter was not prompt in coming to take orders. I had to ask my waiter several times (4) for a refile on my glass of wine. Though he apologized he still forgot to bring it.. It took four reminders before I received my glass of wine also refills on water ... didn't happen. When my steak arrived it was done to my specification but was not hot only warm..but it took a bit to get it and we had small children with us so I let it slide. When we indicated we were interested in dessert he said he would be right back with the dessert tray .. seems there was NO dessert trayz, again he apologized saying "apparently" there was no dessert tray that evening .. ?? .. and the told us the selections.. I was on the opposite side of the table and he was difficult for me to hear. The wait staff was slow in clearing plates from the table. In general.. i was VERY disappointed in the service and our waiter, Piedro, I believe was his name. I give the food an excellent on tastes and bit chilly though..and the service left a LOT TO BE DESIRED.. We were there WAY TOO long.. overtwo hours because they were SO SLOW for the money it cost to eat there... NOT sure I would recommend it to others. Steak is excellent but service varies by server. Felt rushed out the door at our last visit. We arrived early and sat at the bar. Decided to eat dinner there. Great old school atmosphere especially in bar area. Excellent food at realistic prices. the food was terrific. The piano bar in the bar area was wonderful. Our waiter was the best! All you need to know is that everything is delicious and THEY WILL FRYA LOBSTER TAIL FOR YOU!!! #BestThingEver! 45 minute wait on a 7pm reservation. I can’t recall ever having to wait, worse case 5-10 minutes. Large banquet group obviously had an impact on ability to honor reservation but that should have been considered. There was little empathy shown by staff to the delay which was very disappointing. The 6 oz filet look like a steak from a chain a filet should not be a thin cut steak. This will be the last visit for me. I have dined at Sam's several times but it has been a couple of years since my last visit. It is always great and the only reason I don't go more often is that it is not so close to my home. But that said, it is certainly worth the drive. This visit included my son and daughter-in-law to celebrate my sons birthday. The steaks were exceptional and the service could not have been better. While the prices are medium, the fact that a dinner salad and side are included in the price makes this a better value than other premium steak restaurants. I think I have eaten at just about every steak house in the area over many years. Most are very good but Sam's is as good as it gets. I highly recommend this restaurant. We have eaten at Sam's Steakhouse numerous times. All of our prior visits were beyond exceptional. This recent visit was still an enjoyable experience but we had some issues. There seemed to be a large event/party taking place downstairs that was taking up a lot of resources. Our service was VERY slow, the waiter was pleasant, but was slow to acknowledge our table, take our orders and the food took forever to receive. All seven of us had finished our drinks for quite awhile (at least 10 - 20 minutes) before he came by to see if we wanted another. That has never happened before. Again, I don't think our waiter would normally be this sub-par, I feel the restaurant was under-staffed due to the large party or possibly some help called off. I saw our waiter all over the restaurant taking care of his tables; he wasn't goofing off I just think he was assigned too many tables. Additionally, with the exception of one person at our table the steaks were not cooked to order. I ordered medium, my steak was well done. I had two bites in the very middle of my steak that were just slightly pink. The rest of my steak was well-done. Don't get me wrong, the steaks still tasted pretty darn good, but they would have been much better if cooked as ordered. We let our waiter know and to his credit, he did bring our table some free desserts. This was even after I told him we didn't want any money off our bill or anything like that. We simply wanted the restaurant to know that the steaks were not cooked as ordered. We will be back; I think this was just a fluke as all of our other visits were awesome. We eat at Sam's pretty much for each special event. This was the 1st time we were seated in the bar area. I loved the live piano player, but the noise level was a little much. Food was delicious, service impeccable and music thoroughly enjoyable. It was a fun, fun night! The complimentary birthday cupcake was $3.75. Service was very good. Reservation was for 5 PM and we were seated immediately. Waiter provided drinks and was very prompt. Music was a little higher than it needed to be, but was good background. We used a coupon for the meal, and it was really beneficial. The food was not as good as in the past. We were concerned over some of the negative reviews we saw on-line, but have been to Sam's several times before and loved it. We decided to make the reservation anyway and were not disappointed. 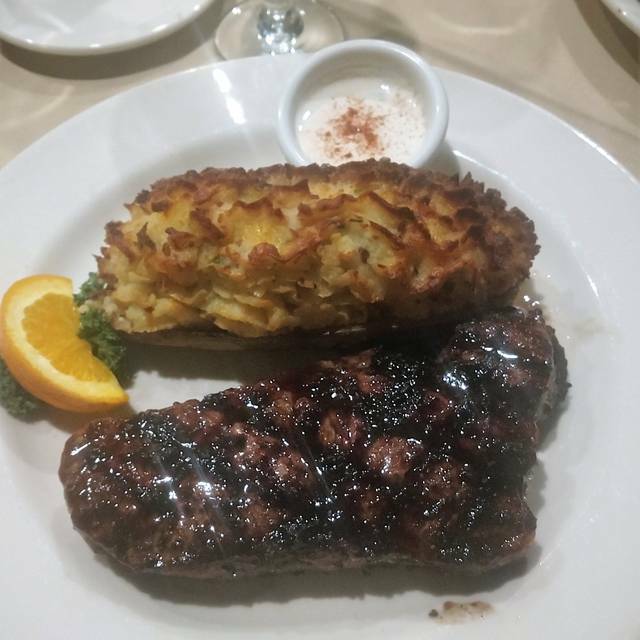 The food was wonderful, steaks cooked perfectly as requested and the service was top notch. 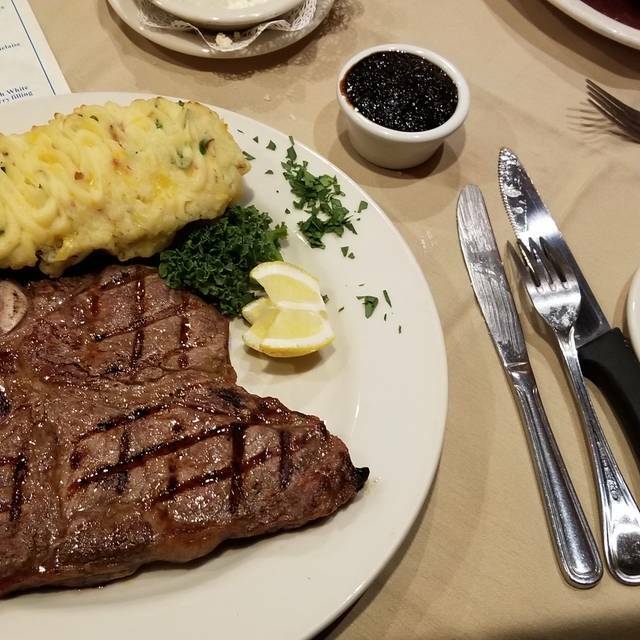 Sam's is still one of our favorite steak houses in St. Louis. There was a table behind us with three young children who were loud, but i think they were bored, they were good just loud. I have only been there one other time before the remodel and I personally liked the ambiance before the remodel. 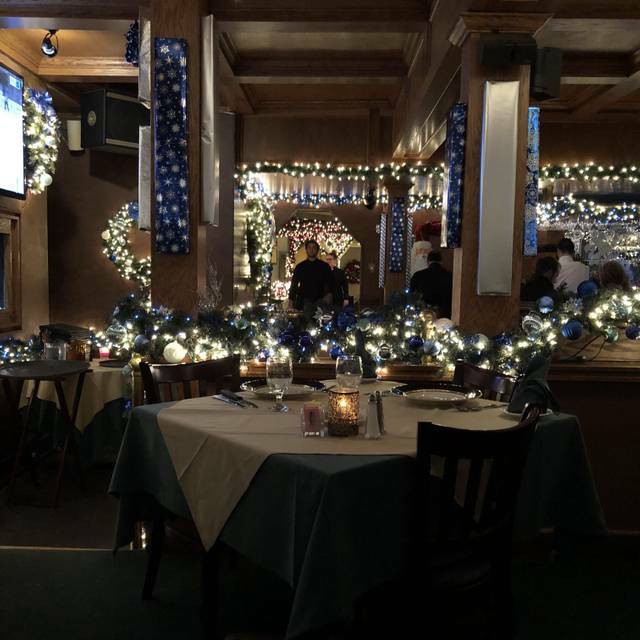 I felt it was cozier and the lights were dimmer, a more laid back relaxing atmosphere. the service was not acceptable - the busboy was fabulous the waiter was not. Our waiter did not ever offer another beverage, he did not make eye contact with us - he made us feel like the most unimportant people in the room. It was a dinner for my birthday which we told him but he never acknowledged the birthday. Almost acted like he had other things and tables that were much more important than we were. A very disappointing experience. The homemade ravioli was very good. And my wife and I had the ribeye steak in mushroom wine sauce, and they were cooked to perfection. It was a wonderful dinner and we will be going back.